President of the Senate, Dr. Abubakar Bukola Saraki, has called for workable drug policies that will sanitize the health sector and guarantee safety for all segments of the society. 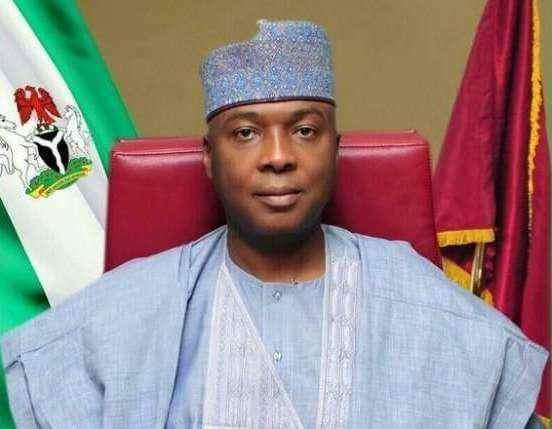 Saraki who spoke when he received a delegation of the Global Commission on Drug Policy, led by its chair, Ruth Dreifuss, according to a statement by his Chief Press Secretary, Sanni Onogu, in Abuja, also noted that robust collaboration across borders has become imperative in order to win the war on criminal drug markets. He commended the efforts of the Commission, its Commissioners and other partners over the years adding that the pathway laid by the Commission has provided a roadmap for pragmatic policy changes which has helped to resolve drug-related problems and bringing it to manageable condition. The President of the Senate told Dreifuss - a former President of Switzerland and Minister of Home Affairs - that there is need for fundamental reorientation of policies and adequate funding for relevant agencies of government in the fight against drug abuse both at the local and international level. “I appreciate the work your Commission is doing, the Senate and National Assembly is ready to partner with you," Saraki said. "That is the best way we can work together to address this problem. “We are beginning to take seriously the collaborating approach looking at the crime rate, health implications of the incidence of drug abuse. We have to form workable policies to ensure that health policies play key role, like the registration of Pharmacies and across the counter drug prescriptions. “We are looking forward to your collaboration as we reassure you that we are very committed in finding lasting solutions and the way forward to improve efforts at tackling the menace in our country. “It is the priority of this parliament., we looking at the issue holistically. If you take drug issue from one point of view, you will not understand that the issue has links with other policies. "I think it is important that we find solutions that will address these issues because it also affects other areas like terrorism. We are doing our best to see how we can tackle these menace. “We are trying to strengthen our agencies by providing adequate funding, renewing our legislations like those that are outdated and bringing in tandem with international best practices. "I believe that robust collaboration across countries will go a long way. This criminal markets have a lot of network across board in many countries. There is need to institute a platform to resolve issues of immigration, drug and human trafficking. “We assure you that in the Nigerian parliament, you have a partner and we are committed to this course," he stated. Earlier,, the Chair of the Global Commission on Drug Policy and former President and Minister of Home Affairs of Switzerland, Ruth Dreifuss, commended the 8th National Assembly for its proactive approach to major national issues saying that the parliament has lived up to the expectations of the people. Dreifuss pointed out that there is no one-size-fits-all solution to enacting drug policy reforms other than including universal Human Rights and minimal standards. She urged political office holders at all levels to be bold and assume their full responsibility by removing drugs from the hands of organized criminal gangs and take control of the markets in order to protect the health, safety and rights of every citizen. "It is high time to challenge the way societies view drugs and the people who use them. Only a minority of people who use drugs do so in problematic ways," Dreifuss said. "While individuals with problematic use risk their own health due to the potential harm caused by the drugs they take, they are confronted with much greater harms when the consumption of drugs is criminalized." She assured that the Commission has lists of experienced and energetic experts who are ready to partner members of the global community in the fight against drug abuse.